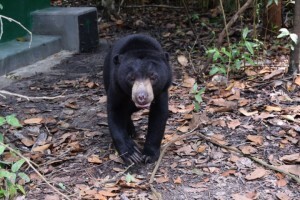 In 2018, Sun Bear Outreach has continued working in collaboration with the Borneo Orangutan Foundation International Foundation (BOSF) to build large forest enclosures for the 52 bears at the Samboja Lestari sanctuary in East Kalimantan, Indonesia. Since January 2018, we built 2 large forest enclosures (D and E on the map) and a new small “training enclosure” where the bears learn about the electric fencing. 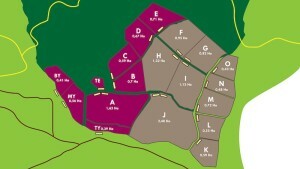 Six sun bears are now enjoying the 2 new enclosures each of about 0,7 hectare in size. 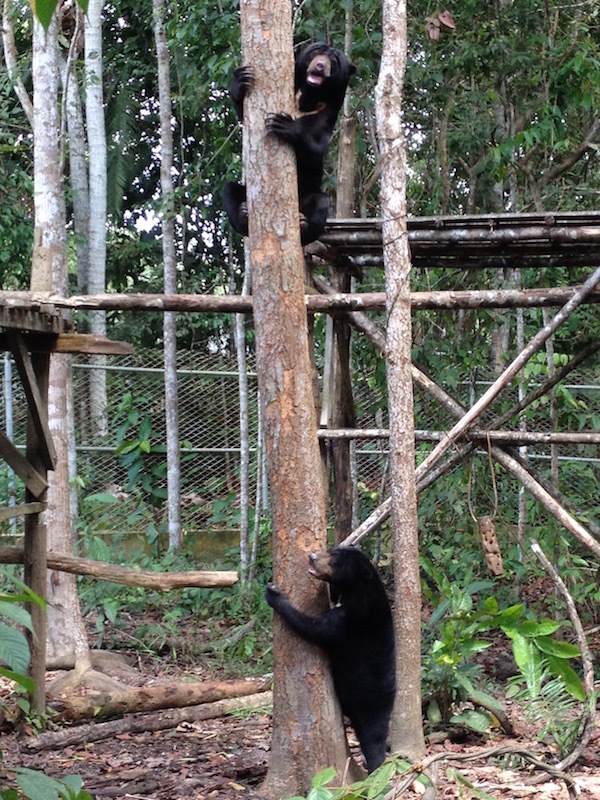 In 2018, Sun Bear Outreach also built a 1000 m2 enclosure for 4 bears at the Orangutan Foundation International (OFI) care centre in Central Kalimantan Indonesia. These 4 bears were kept for a long time in small cages at the Forestry Department office in Pontianak, West Kalimantan and were en route for a local zoo. Luckily OFI accepted to take the bears and they are now all 4 living together in a 1000 m2 enclosure with trees, a pool and dens that they can shelter in. They are leading a much better life than they would have had in any Indonesian zoo. 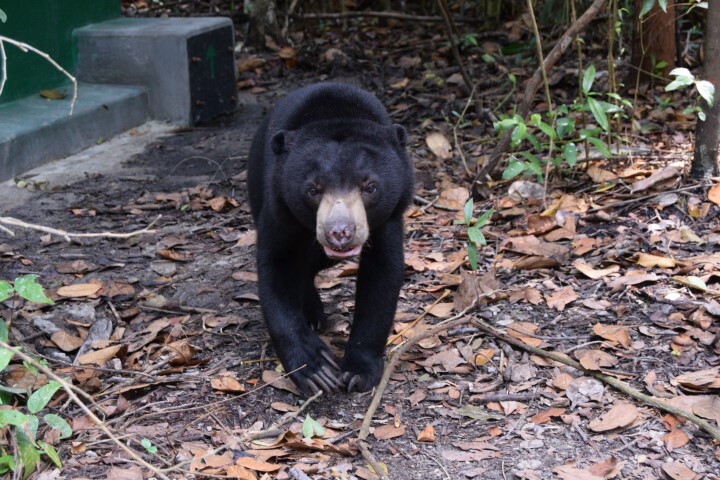 For the rest of 2018 and 2019, Sun Bear Outreach will continue to collaborate with BOSF and OFI to pursue the constructions of more large forest enclosures so that all the sun bears that are in the care of these 2 organizations can enjoy a descent captive life. 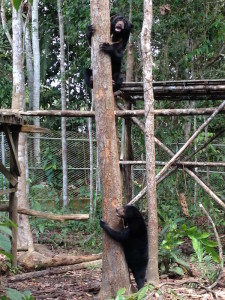 Sun Bear Outreach is also collaborating with the Cikananga Wildlife Centre in West Java to help improve the facilities of the 3 bears they hold. Patrick Rouxel, founder of Sun Bear Outreach, is on site in Indonesia working full time to supervise the construction of the enclosures, the training of the bears to the electric fence and their introduction into the enclosures. Patrick equally controls the expenses for making the enclosures to make sure every dollar is spent wisely.